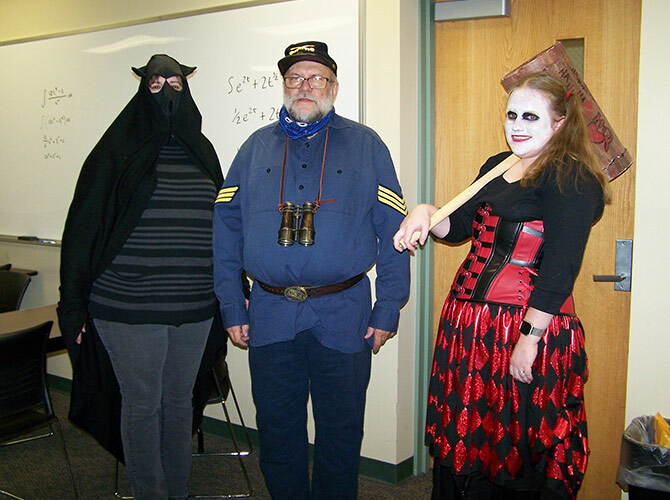 The Math and Science Club of Cowley College will seek to promote student interest in the disciplines of mathematics and science and to enrich learning opportunities in mathematics and science throughout the college and community through extra curricular activities. Conduct bimonthly meetings. 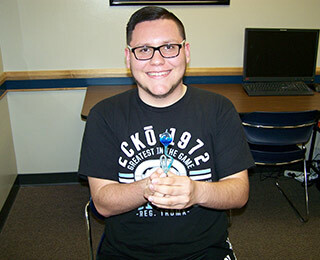 Club meetings are the first and third Friday of each month in room GJ304 at 2 pm. 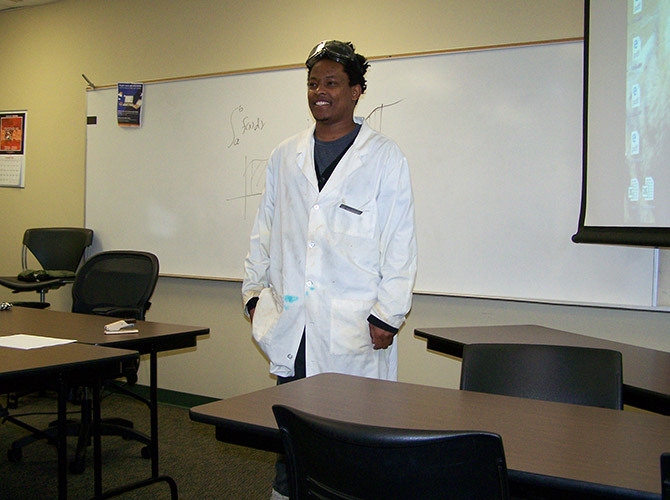 Sponsor one or more mathematics and/or science related field trips or projects per semester. Assist the Natural Science Department in recruiting students to major in fields related to mathematics and the sciences. Retain a membership of 20-25 members. 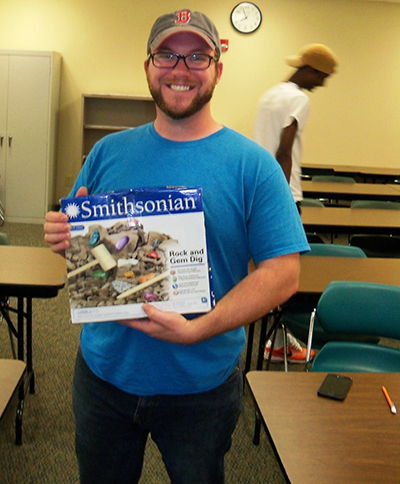 Look for mathematics and science related service opportunities within the community. 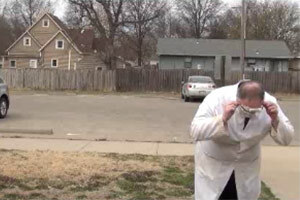 Help the Natural Science Department with Math and Science Day, Technology Day, Career day, etc. Submit names to Mu Alpha Theta of qualified math students for membership into that organization. New members are always welcome, just come to a meeting and we'll sign you up. 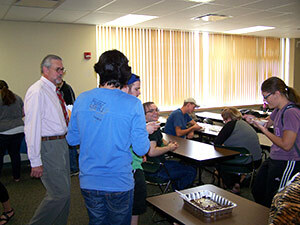 Club meetings are the first and third Friday of each month in room GJ304 at 2 pm. 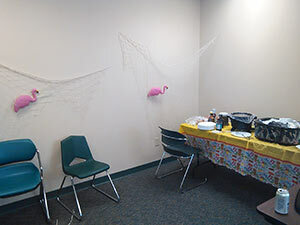 The Cowley Mulvane Spring Fling Club Fair showcasing all of the Mulvane Clubs (Math & Science – Mu Alpha Theta – Mile Marker & Creative Claws) took place on April 11th of 2019. 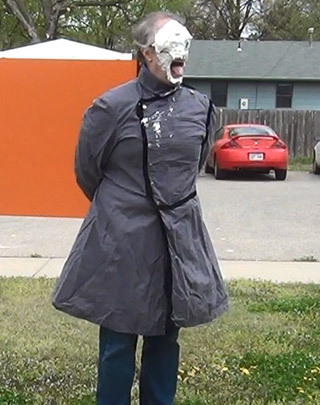 The event was combined with a belated Pie Day Celebration sponsored by the Math and Science Club. 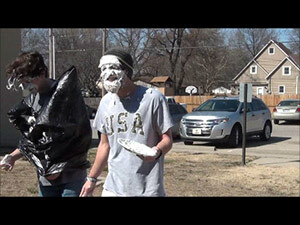 The Club members collected canned food for the Mulvane Baptist Church Food Bank in order to determine who would get pied this year. 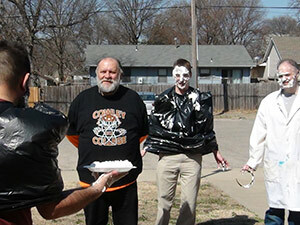 Participants were Coach Alumbaugh, Rachel Schmeidler, Chad Killblane, and Uwe Conrad. 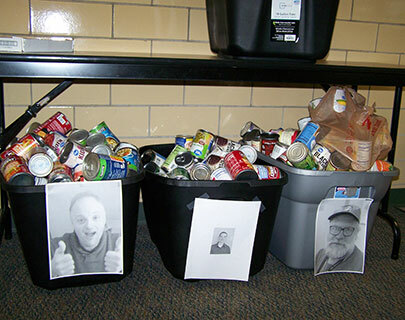 Rachel & Conrad together received a meager 113 pounds of canned food. 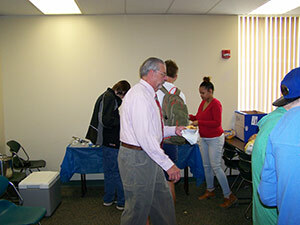 The grad total was 339 pounds of food collected and donated. 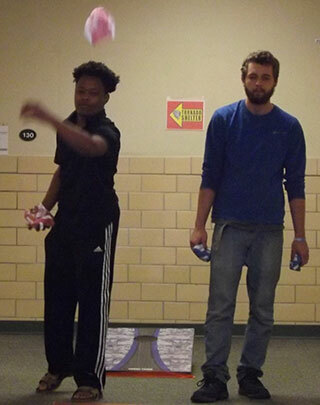 In spite of the cold weather we cooked out Hamburgers and the Math and Science Club president Aaron Rogers organized a Corn Hole Toss tournament for the afternoon activities. 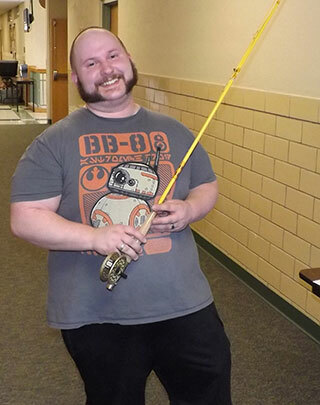 The following is the report from Aaron Rogers summarizing the tournament activities. We started off the tournament with the random number generator on the calculator for each round 1 match which put Trevor Bernd vs. Austin Beck, which was a close match but Trevor pulled away and won 21 to 8. Next up was Ella Panolan vs. Abby Horsley, and Abby started off hot, but Ella stayed with her and won 21-11. 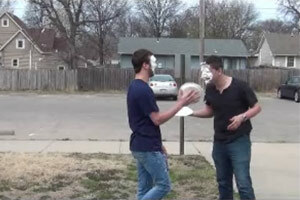 After that matchup we had Bryon Bush vs. Aaron Rogers, which Aaron held the lead and won 25-4. The last match of round one had Joe Wangombe vs Aaron Conway, they swapped the lead throughout, but in the end Joe came out on top by a small margin 21-17. Next we started the semifinal rounds which had Ella Panolan vs Trevor Bernd, this round Trevor started with a perfect 12 score, but Ella made a comeback and Trevor had the edge in this one 23-19. Second semifinal was Joe Wangombe vs. Aaron Rogers, which Joe was winning most of the way through but Aaron stayed with him and on the last throw won it 24-19. This set up the championship match with Aaron Rogers vs. Trevor Bernd, this match was close throughout and Aaron ended up winning with Trevor taking second. 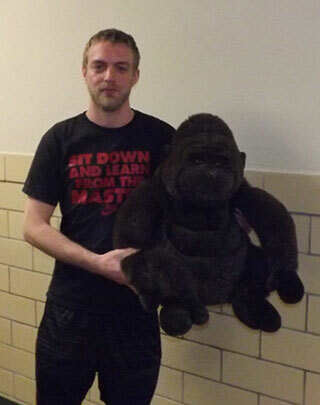 Aaron took home the gorilla while Trevor taking second got the guitar. Next we had 3 more prizes so we had a consolation bracket. Which we had Ella Panolan vs. Bryon Bush, Bryon put up a good start, but Ella ended up winning 21-5. Next we had the last match of round 1 consolation Austin Beck vs. Abby Horsley, which was close throughout and came down to the last throw and went into overtime with Austin making it out of this match 27-20. The final match was between Ella Panolan vs. Austin Beck, this had a lot of back and forth with both getting to 21 in the same round, but Ella came back after the next round and won 25-23. Ella took the Chiefs crockpot and Austin chose the fly fishing rod, with the Royals Flag going to Abby. Thanks to Uwe Conrad for the donation of all the prizes for this event. 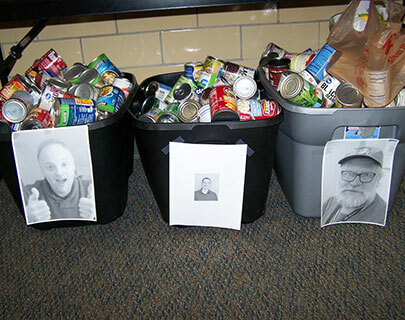 With the Holiday season approaching, the Math and Science Club at Cowley College’s Mulvane Center collected 314 pounds of canned goods and donated the items to the First Baptist Church Food Bank in Mulvane. 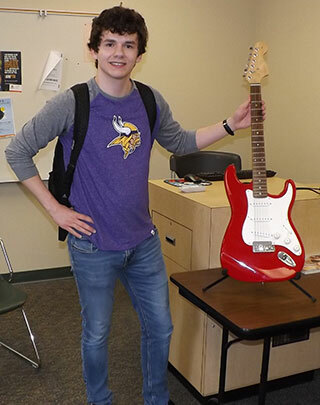 Along with Mulvane Center Math and Science Club sponsor Uwe Conrad, students that helped organize the donation were, Aaron Rogers, Joseph Ishac, Abraham Ishac, Willam Short, and Jacob Edelman. 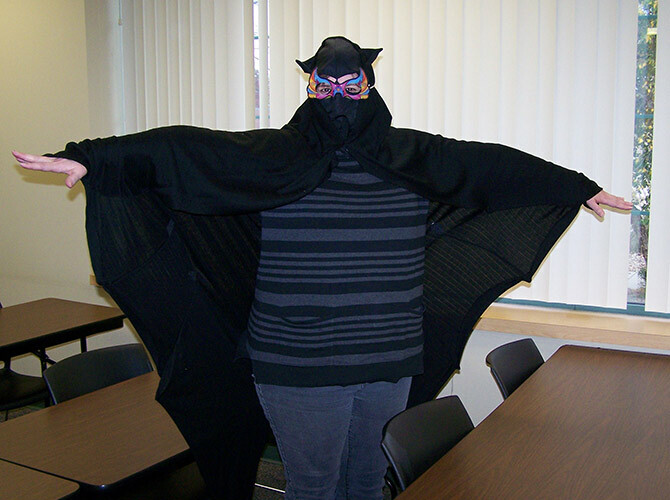 The Mulvane Math and Science Club hosted a Halloween costume contest on October 31st. 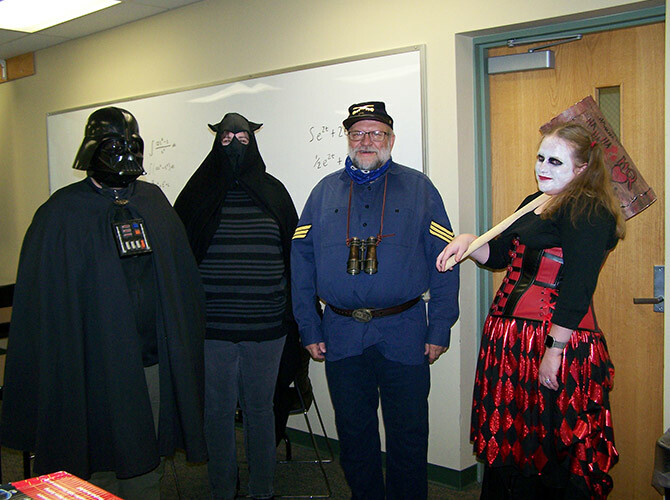 The contestants were Laurie Mulford (faculty), Tiffany Killblane (faculty), Caden Bird (student), and Joe Wangombe (student). Participants were, winner with 127 pounds - Chad Killblane, second place 115 pounds - Coach Ian Alumbaugh. And in no particular order Uwe Conrad, Jeramy Lamar, Aaron Rogers, Adrian Campa, and Trevor Bernd. 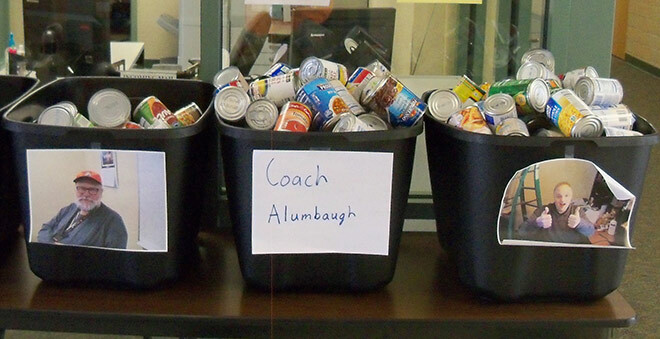 This year we collected food for the food bank, 447 pounds were donated. 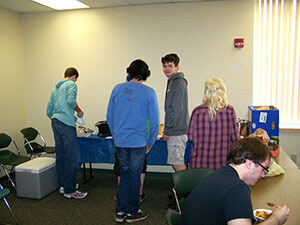 Pictures from Math & Science club weekly free food day. 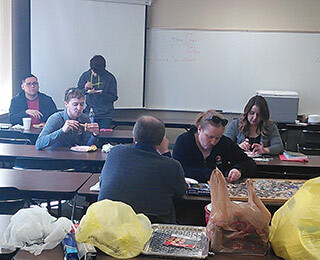 Students come between classes to grab a bite to eat and relax. 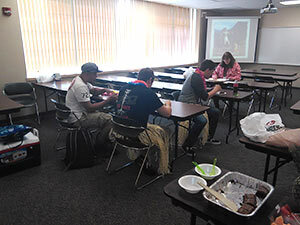 On Tuesday, May 9 from 11am to 3pm the Mulvane Math and Science Club held the annual “Year End Luau” for students. 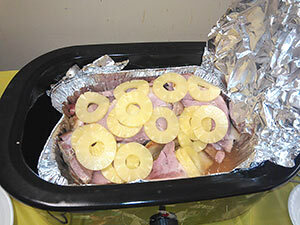 Many thanks for Uwe Conrad and Lori Mulford who prepared the delicious food including baked ham with pineapple, pulled pork, and brownies. The Mulvane Math and Science Club would like to wish everyone a great summer! 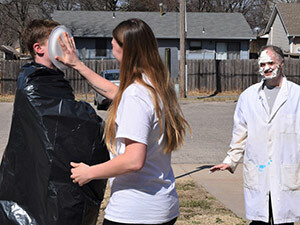 The Mulvane Math and Science club celebrated PI Day and St. Patrick's Day (early) on March 14. 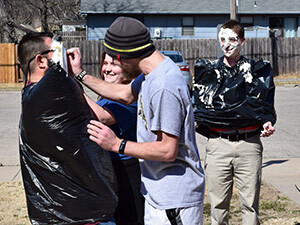 Students had been voting with "spare change" on which of the four individuals: Uwe Conrad, Chad Killblane, Tiffany Killblane, or Justin Petersen would receive a pie in the face. 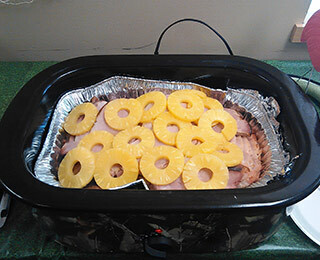 Uwe also cooked up Corned Beef and Cabbage. Lori Mulford cooked chili and red potatoes. 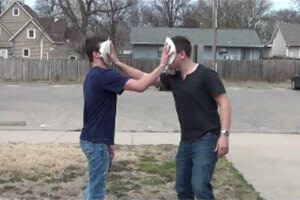 Due to the miraculous tie between the Killblanes, both Tiffany and Chad Pi'd each other at the same time. 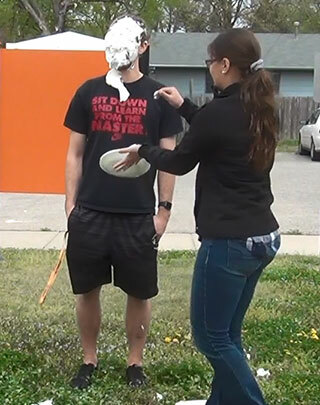 The tutors also joined in the fun by Pi'ing each other. 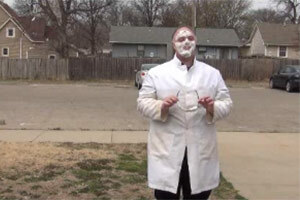 The money goes to help support the activities of the Mulvane Math and Science club. 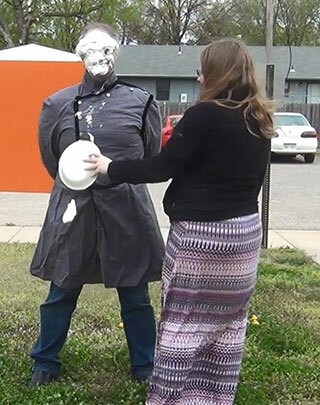 The club would like to thank everyone who volunteered, voted, cooked, or threw a pie. 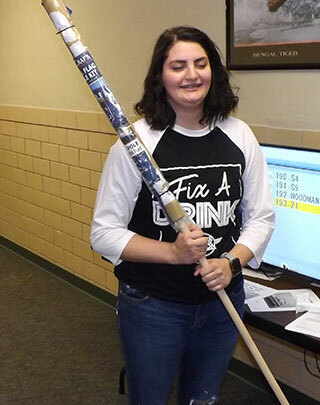 The Math and Science Club sponsored a bridge contest where students could design a bridge using the West Point Bridge Designer Program. We would like to thank everyone who participated in the event. A special mention goes out to the naming of the teams including "99 Probs But A Bridge Ain't 1,” "Minus Nein Bridges Road,” and many more clever names. 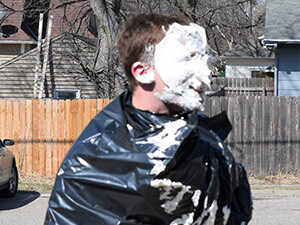 It is a yearly tradition that is enjoyed by many students. Congratulations to all the winners! A special thank you goes out to Uwe Conrad who donated the prizes for the contest. 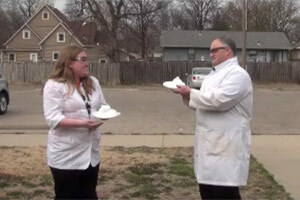 "Hot Legs in the Hall" event raised money for Math & Science Club. 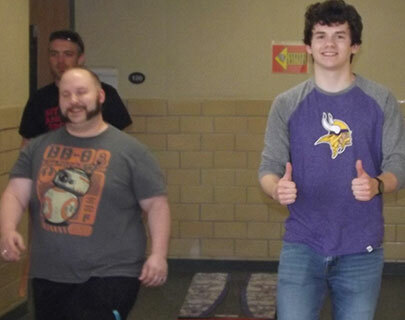 On Wednesday, April 6 from 11:30am to 3:00pm the Mulvane Math and Science Club held the "Hot Legs in the Hall" celebration. 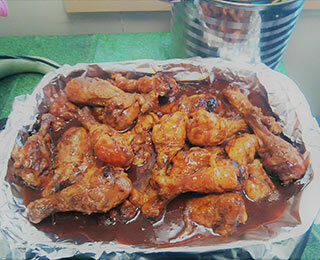 The feed consisted of chicken legs with buffalo sauce and pulled pork barbecue sandwiches. 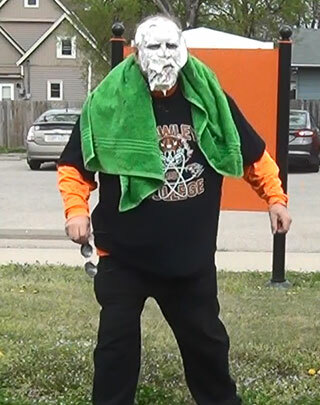 The club raised $51 total. 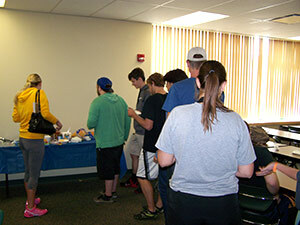 The club would like to thank everyone who participated in the event and our chef Uwe Conrad! 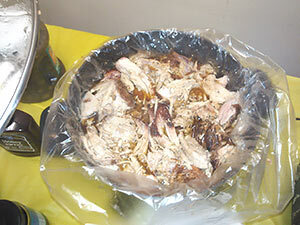 He prepared the delicious food. " 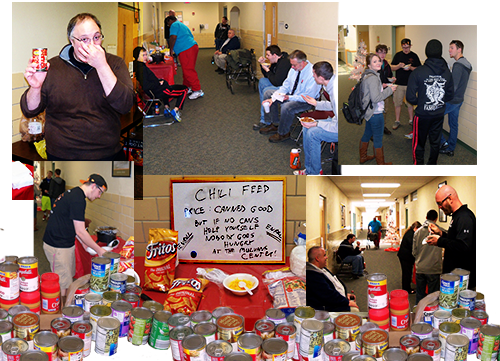 On Wednesday, December 9 from 11:30am to 2:00pm the Mulvane Math and Science Club offered an "all you can eat" chili feed. The price was a can of food. 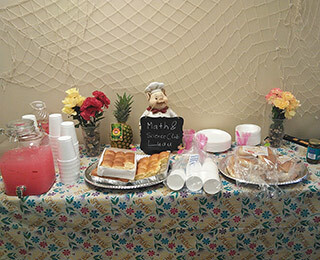 The food was then donated to the Methodist Church food drive. 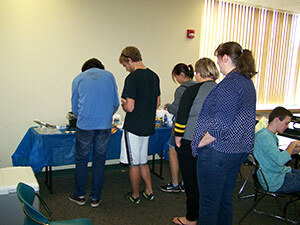 The club would like to thank everyone who participated in the event and our chef Uwe Conrad! 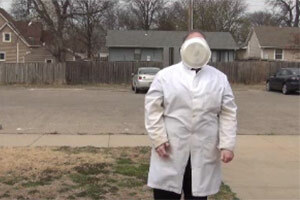 He prepared the delicious chili. The Mulvane Math and Science Club would like to extend a Season's Greetings to Everyone! 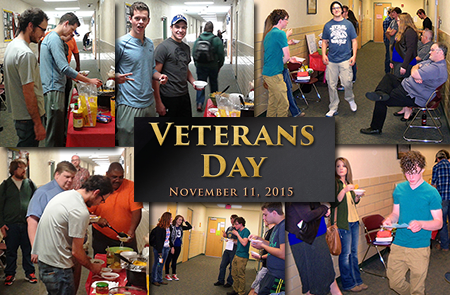 On Veterans' Day, November 11, the Mulvane Math and Science Club offered a free nacho feed in honor of our veterans. The club thanks all of our veterans for their service! Your sacrifice helps to guarantee our freedom. The club would like to also thank our chef Uwe Conrad. 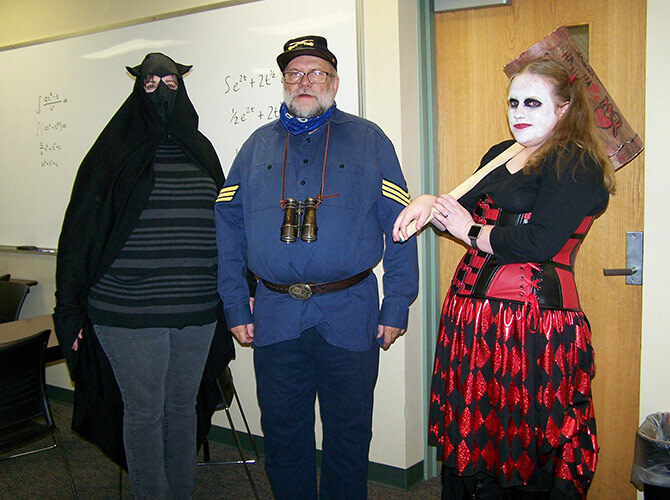 The Cowley College Natural Science Department and Math & Science Club sponsored the Tiger Windmill Competition Nov. 4 in the physics lab. 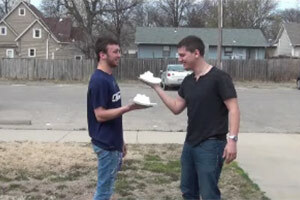 The competition was open to all Cowley students and cash prizes were awarded to the most efficient designs. 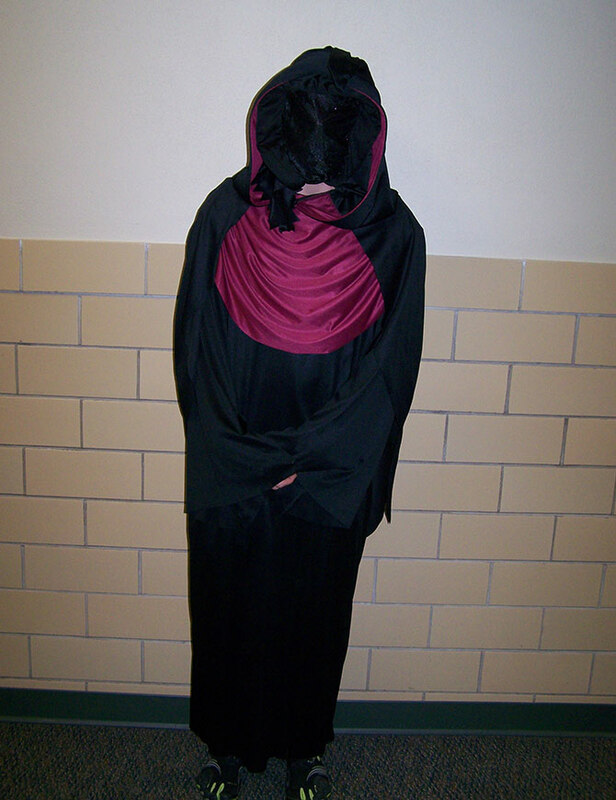 The top three designs were created by students Tim Tong, Jenna Pfaff, and Elijah Rebold, respectively. 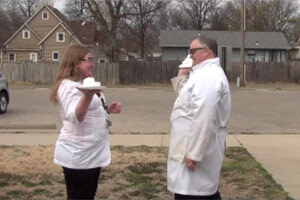 The Mulvane Center Math and Science club held their annual October Fest on the 7th. 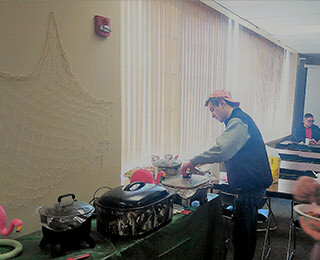 The club offered unlimited polish sausages and sauerkraut to students for only a dollar. 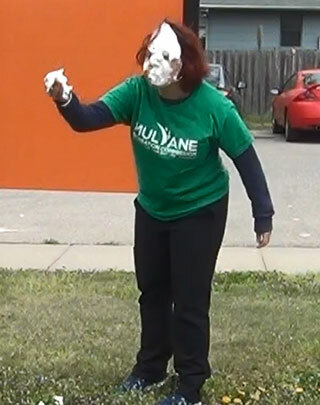 With a large number of students participating they were able to raise $70 which will fund their annual field trip. 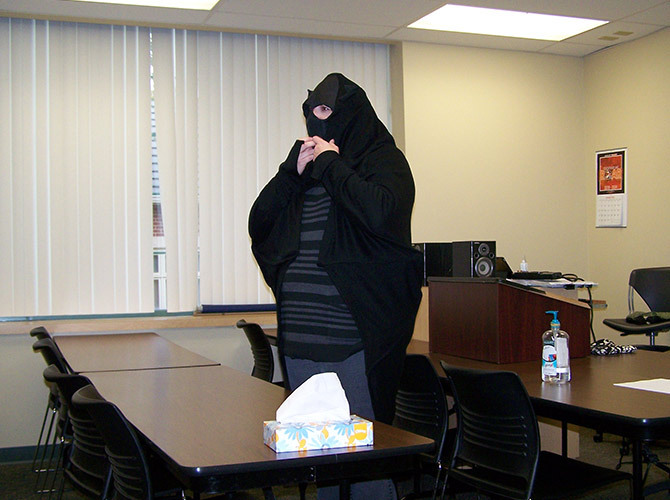 Mu Alpha Theta ( ) is a national community college mathematics club. 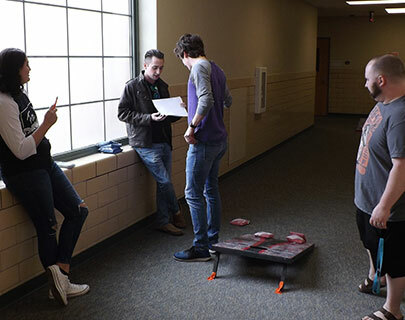 It's major purpose is to promote greater interest in mathematics and give recognition for excellence in mathematics performance by community college students. Membership in Mu Alpha Theta is limited to those students who have excelled in mathematics and met the minimum standard for membership of a 4.0 in College Algebra or a 3.0 in a higher math class (Statistics, Business Calculus, Trigonometry or Calculus). Membership in Mu Alpha Theta is an asset to a student's record and resume. 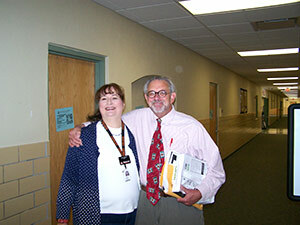 It is a way to recognize capable math students, as well as to enhance the mathematics instruction of the institution. 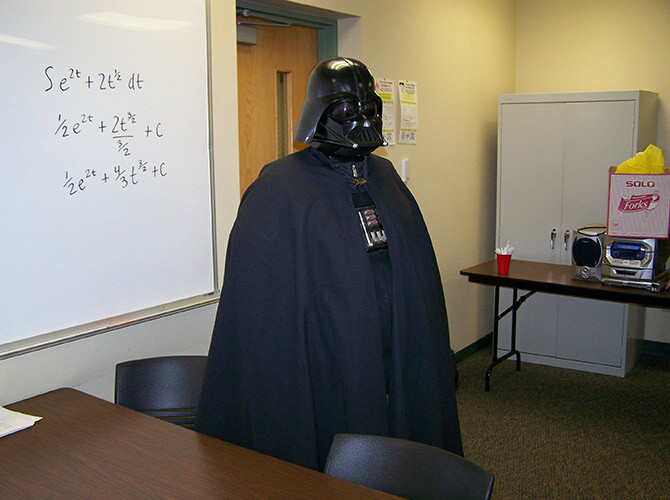 In addition , when you join , you will automatically become a member of , the Cowley Math & Science Club, however you are under no obligation to be an active member of Math & Science Club. In order to cover membership dues and initiation fees, there is a one-time membership fee of $40.00. Membership in this organization is truly an honor!